We left LA and drove about 70 miles South. 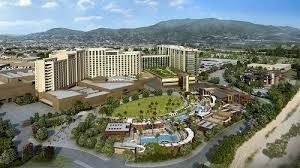 We decided to take a break from all of the boon-docking we have been doing so we opted to stay at the Pachanga Resort and Casino. It’s voted number the number one Casino in North America. Usually we choose Casino’s as stop overs, but this time we took a mini vacation and stayed for a few days. 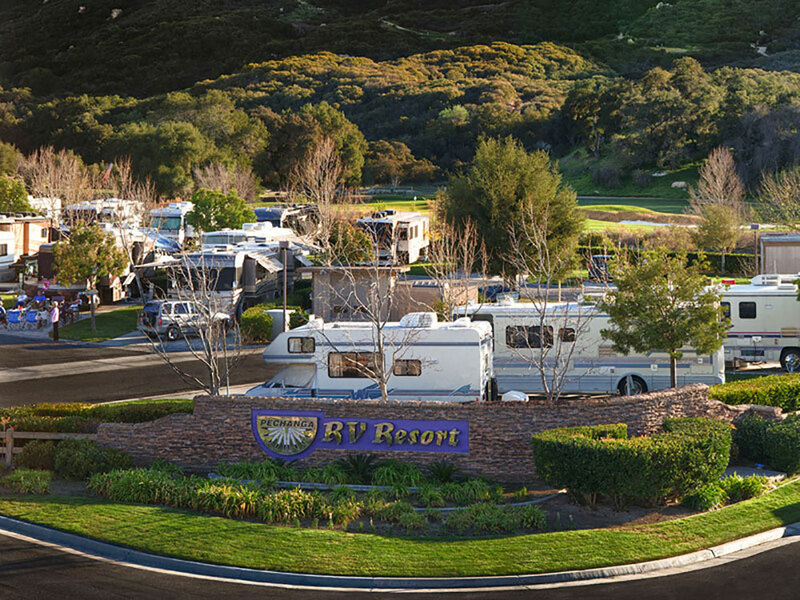 While most offer complimentary RV parking, this facility is really top notch. Although probably too cold for most who live here, we were happy to use the pool daily. I have been anxious to get somewhere where I can use a pool… get my body stronger! I love to swim, I just hate getting wet. LOL. We found the most fantastic dog park not far from here where we take Chicago in the morning before it gets too hot. Temps have been running in the mid 80’s. It sure cools of fast in the evenings though. We went into the Casino one night and its quite nice. We just walk around and then enjoy some of the singers or bands they have playing. 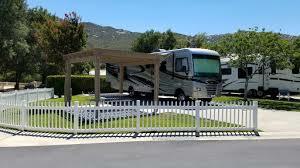 The have a shuttle service to get you back to your RV. This place is huge. The lots are beautiful and private. For the most part people here are really friendly. We have found when we stay at the bigger RV parks, that maybe 40% of those who stay in their big rigs, are stand offish and act like they tinkle liquid gold. Probably not a nice thing to say.. but when you make eye contact, smile and say hi… it’s not very nice when they don’t. I guess to each his own. I have spoken to a lot of people here, and people who travel full time and they say it’s the same everywhere. There is a “class” of people that RV who wanna stick to themselves or the group they travel with, and have zero interest in saying hello. I think that’s just rude. Come on guys… smile a bit 🙂 Just sayin. On another bright note… the staff here rocks! I would highly recommend anyone who is in the area with an RV to stay here. Keep in mind that their weekends are booked months in advance. They have overflow boon-docking and overflow behind the park that is available if you have to move out and then come back in. Word to the wise… BOOK AHEAD! We will be booking in here for a few weeks next year. 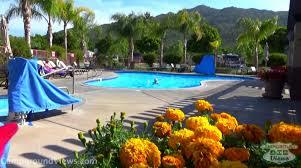 This is the cleanest city we have EVER seen, the weather is PERFECT… the amenities leave you wanting for nothing. This is seriously one of the nicest places I have been.My grandkids could come stay here with us for a week and have the time of their lives! It is perfect for anything you fancy. Golf? Right next door… shopping… all over the place… night life… door to door shuttle to the casino! In the meantime, we will sit here a couple more days as we are trying to tie up some business with a woman who is selling a Thousand Trail RV package. After that we will be headed someplace that is either going to be very cool… or a big mistake. 😉 I think it will work out as it should.